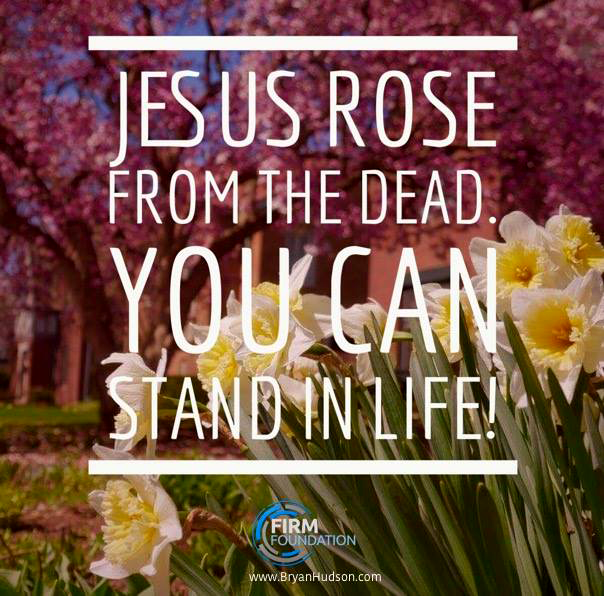 We don't say "Jesus Has Risen" (past tense) because He is still alive to empower us for daily living! The Scripture below shows the Apostle Paul's revelation and perspective regarding the resurrection of Jesus as DAILY POWER for living, not only a glorious event in the past. He contrasts his knowledge/credentials/experiences with the far greater experience of knowing Christ. Philippians 3:1 NLT, Whatever happens, my dear brothers and sisters, rejoice in the Lord. I never get tired of telling you these things, and I do it to safeguard your faith. 2 Watch out for those dogs, those people who do evil, those mutilators who say you must be circumcised to be saved. [or any other religious deed] 3 For we who worship by the Spirit of God are the ones who are truly circumcised. We rely on what Christ Jesus has done for us. We put no confidence in human effort, 4 though I could have confidence in my own effort if anyone could. Indeed, if others have reason for confidence in their own efforts, I have even more!